The Northwest Bookfest literary festival is coming up this weekend at Northwest University, south of downtown Kirkland, Washington. This year’s focus is on the benefits and challenges of digital publishing and will include workshops, panels, exhibits and readings. Additional details and registration information on the Northwest Bookfest website and on Facebook. Poet Brenda Hillman, named one of the “fifty most inspiring authors in the world” by Poets and Writers Magazine, will give a talk and read from her latest book, Seasonal Works with Letters on Fire, on Monday, October 28, 2013, at Western Washington University (Bellingham), 4 p.m. in the Library Reading Room (4th floor of Wilson Library). The presentation is free. Poetry Alive! Part II: A Night with Kevin, Matthew, and Friends. Tonight at 7 at the Firehouse Performing Arts Center in Fairhaven (Bellingham). Performance benefits the continuation and expansion of the Whatcom Juvenile Justice Creative Writing Project. This is gonna be good. Don’t miss it. Artpocalypse, an exhibition of artworks by Trish Harding, Vikki Jackson, Laurie Potter, Amy Armitage, John McCulloch, Mary Jo Maute, George Jartos and Anita K. Boyle, will culminate this evening, Saturday, October 26, 2013, with a poetry reading by James Bertolino and Anita K. Boyle (the same). This is a great time (and possibly the last) to see the show, plus hear some swell poems and hang out with cool people. It’s all free, 6:00-8:00pm, at Fourth Corner Frames & Gallery, 311 W. Holly Street, in Bellingham. Come on down. Help bring the Contest to life! You’ve been to the heart-warming Sue Boynton Poetry Contest award ceremonies where Whatcom County citizens of all ages read their poems. 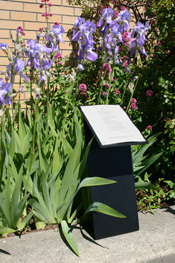 You’ve seen the Poetry Walk in front of the Bellingham Public Library. Well, now you can be part of this positive community program. The Sue C. Boynton Poetry Contest and Walk committee is looking for two new members for the 2014 contest year. They especially need someone to get event information to the local media, but committee members all pitch in to help one another. The committee meets in Bellingham once a month, except in July and August. This is the ninth year of the Contest and Walk; procedures are well organized and there is a wealth of written materials to help with tasks. If you are interested or have questions, please call Susan J. Erickson at 360-733-0693 or email her at susanjer@mac.com.